I started back to fulltime, in-office work this week, for the first time in over three years. To be honest, my emotions over this transition have swung back and forth like a pendulum: Anxiety. Excitement. Guilt. Pride. Eagerness. Dread. Well, it’s true—transitions make my insides feel like a shaken up (diet) soda can (that I would consider a nutritional victory, naturally). Is that true for you? Does change make you want to pull the blankets over your head and binge-eat chocolate and watch bad/amazing reality TV while ignoring the phone/bills/responsibilities/all-the-things? For me, it’s one major factor: Control. Or, more specifically, the lack thereof. Let’s talk about this control thing. I mean, what do I really have control over? What I’m wearing to work? My 4-year-old told me this morning that I looked like a piñata. So. Maybe someone should take that control away from me before she starts swinging at me with a broomstick (this is a not an unlikely scenario, FYI). The issue with craving control is that we’re never satisfied with how much control we have. We always, always, always want more. Control isn’t tangible. You can’t send it to its room. You can’t plead with control. You can’t tuck yourself in a warm blanket of control at night. So why do we battle desperately to cling to control? I remember driving home from the hospital with Lilah, my first-born. It was pouring rain and I was pretty sure her neck was broken or we’d installed the car seat incorrectly, because her head kept flopping around like a fish out of water. 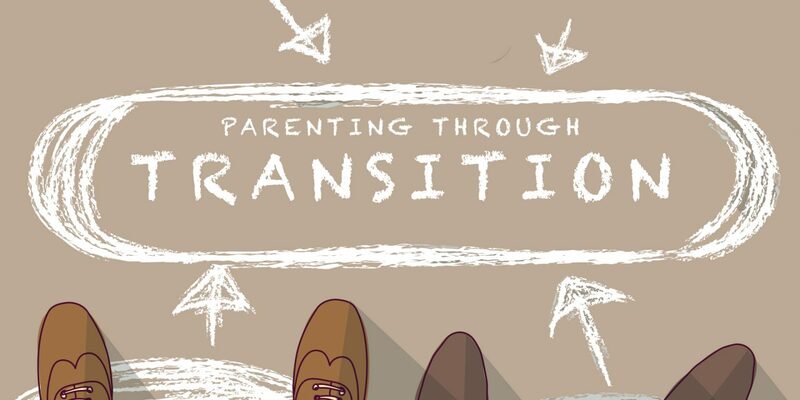 It’s one of the most challenging concepts of parenting—letting go of our kids. Sure, we want to make every effort to guide, to support, to teach, and to discipline. But we can’t live their lives for them. But we can’t control everything. We can’t control . . .
how they behave when we’re not around. who they play with on the playground. which sports they choose to participate in. how hard they study in school. how they respond to discipline or criticism. the growth of their faith. Basically, we want to control it all. We can give ourselves anxiety-induced ulcers. But we can’t control everything. So. How am I doing with my control issues? I’m at work . . . and, yes. I’ve worried about my 4-year-old, home with a sitter. I’ve worried about getting back in time to get my 8-year-old off the bus. I’m going to have to work after the kids go to bed. I have a meeting in fifteen minutes I’m not totally prepared for. AND I CAN’T STOP THINKING ABOUT THE CUPCAKES IN THE BREAK ROOM. But here’s what I’m committed to—moving forward despite my fears. I’m going to acknowledge my lack of control. I’m going to apologize to God for wrestling Him over this elusive idea that I can control the variables. I am going to give the cupcakes a very wide berth. I’m going to give myself permission to be imperfect. Permission to figure out this transition over time—not today. Permission to allow my kids to fail. Permission to be a recovering control freak who, on occasion, dresses like a neon-colored paper maché party game.